Perfect for use in industry, education and pharmacy. AC adapter (included) or 6 double A batteries (not included). 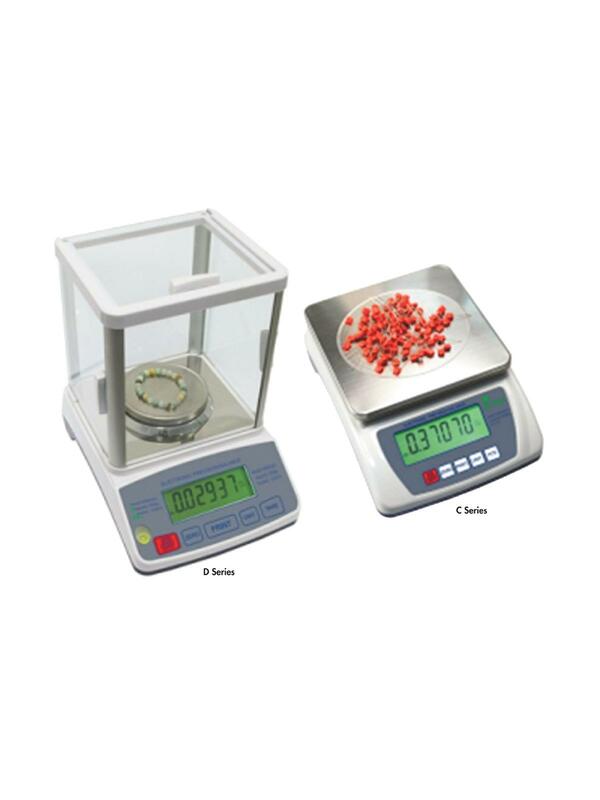 Large easy to read LCD display with back light. Four adjustable leveling feet and level bubble. Stainless steel weighing platform. 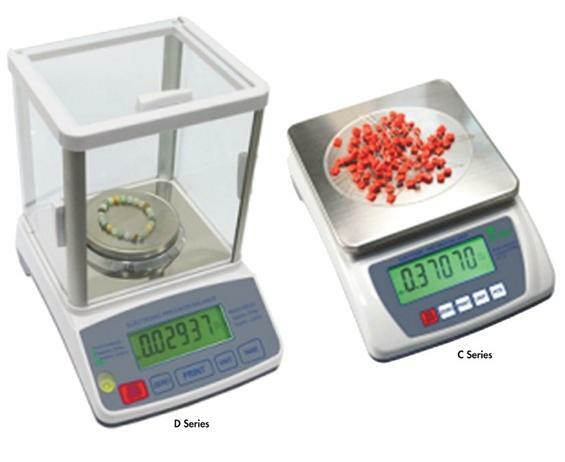 Weighing modes: g., oz., lb. (except D suffix models), dwt., ozt., ct., and seven other modes. RS232C data interface. D suffix models have a 3-way glass draft shield. C suffix models include a counting feature. FOB Shipping Point.